The cocoa bean, basis for most modern chocolate products, has a rich and varied history, including purportedly holding central importance in the ancient Aztec culture as both currency and an offering to deities. 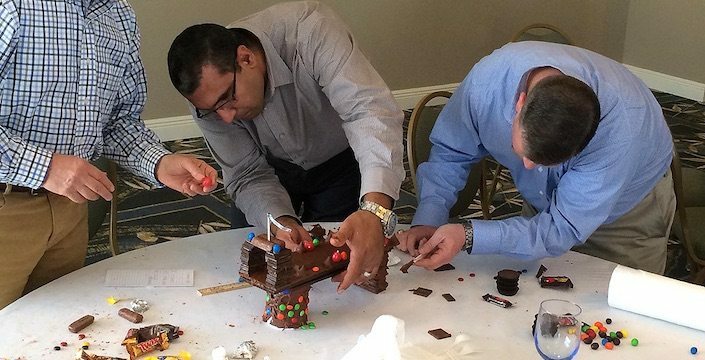 Our Chocolate Architect program gives teams the opportunity to not only learn more about chocolate, but to serve up an offering of their own: an architectural creation made entirely of chocolate that forges collaboration with their fellow participants. It’s a fun and delicious corporate event!